Hi! I have what i believe to be metal staining in a spa but there may be another problem and I am just looking for advice. Going to make this as brief and info rich as possible. There is a pebble tech spa connected to two heaters and has a stand alone sand filter and pump. When I first visited the spa the pH was <7.0. I added soda ash to bring the pH up but all it did was turn the water blue and flaky and left a blue ring around the top of the spa. 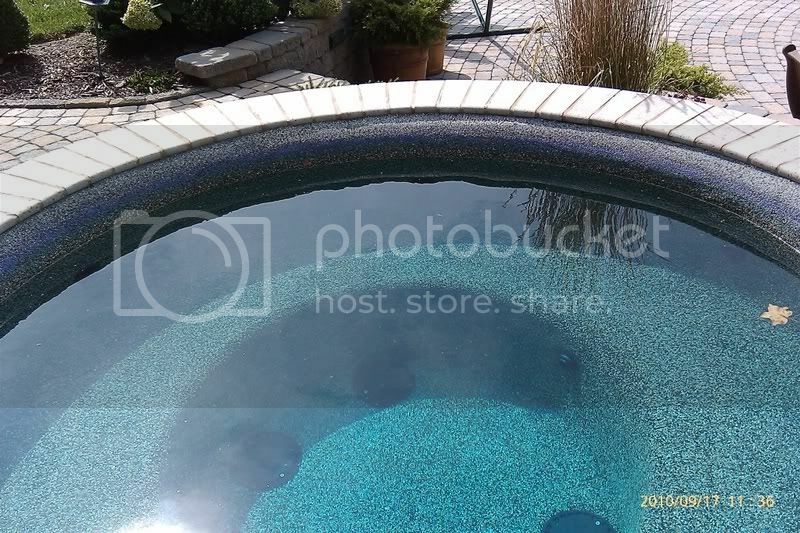 I drained the hot tub and filled it with perfectly balanced water from the pool, also pebble tech. pH dropped back under 7.0 within a week. I began slowly adding ash over a period of 2 weeks and the water has become tinted blue again but the water is clear. However now there is a purple ring around the rim of the spa. According to Jack's Magic Blue handbook this is caused by copper and is known as blue haze. There is copper in the heater and I assume this is the culprit so my question is: Is the low pH causing the copper to degrade or is copper degradation causing the pH to drop in turn degrading the copper even faster? Thats the basic problem please feel free to request any more info and thanks for all the help!! I have seen that several times when a copper based algaecide has been introduced. I don't really think a pH of 7.0 would be low enough to do that much staining. Do you know if they put an algaecide in? No algaecide and the pH is below 7 but i do not know how far. The pH test gives a bright yellow on the taylor k2005 test kit. Weird. Can you acid wash the color off the P-Tec? That was my thought but I have a feeling it will come back because I am having a hard time controlling the pH. The P-Tec will handle the acid wash (as you probably know), so that is one bright spot! 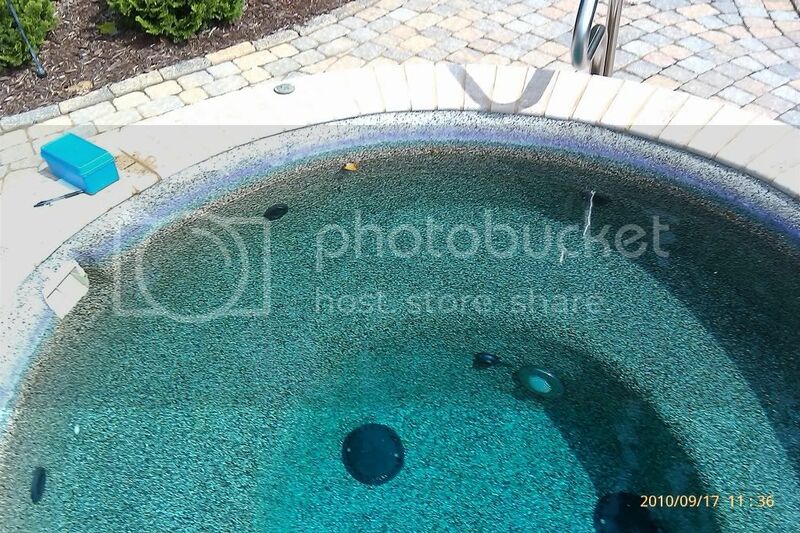 I have noticed that P-Tec pools require more acid to keep pH in check, but I don't know why! How much aeration is this getting? One pump system? If so, can you plug the air line to keep the air out and help with the pH? If you can get just circulating water I would think that you could have a better shot at controlling the pH. What heaters are being used? How often are they fired up? How old is the PT finish? Where is the alk level? Are the jets continuously venting air in the tub? How is the water chlorinated? Im going back tomorrow for more specifics thanks for pointing me in the right direction! It's in the Chemistry 201 forum.